Nearly 1 million new malware threats are released every day. The sheer deluge of unique malware samples makes it difficult for incident responders to keep up to protect their networks. Even more difficult is the task for investigators and law enforcement to keep up with the size and number of command-and-control networks and criminal operations. 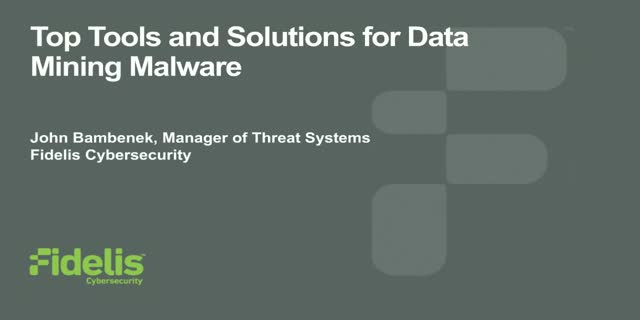 Join this presentation to learn about the solutions and tools you can employ to monitor criminal infrastructure and make it easy for incident handlers to identify problems on their network, for security analysts to protect their networks and for law enforcement to have reliable near-time information for their operations.